Hello! I’m back for what is apparently my monthly blog post. 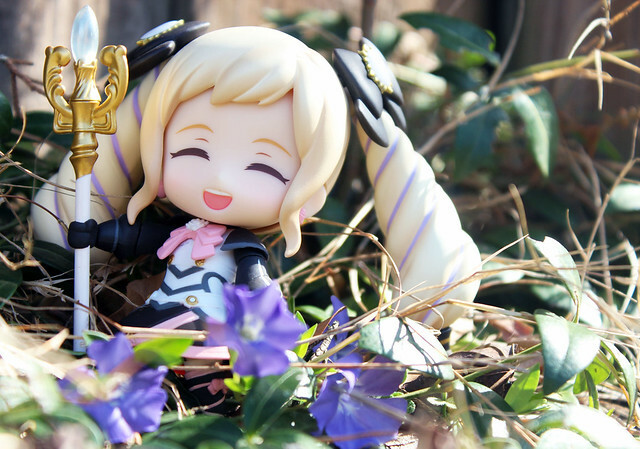 Today was unseasonably warm, so I decided to snap a few photos of nendoroid Elise who I got last week! 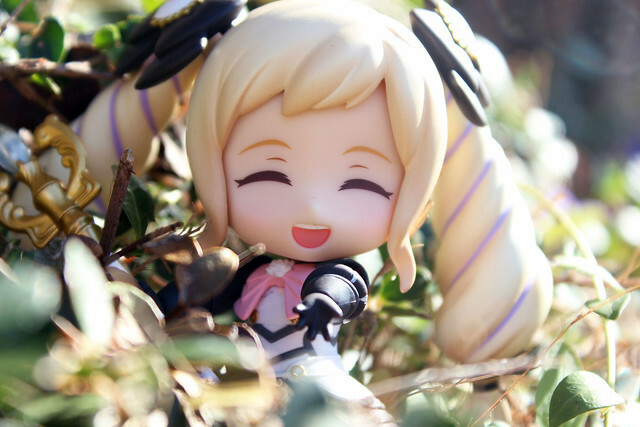 All of the photos from this set that I kept ended up using the same expression, so I’ve titled this set “Elise’s Smile”. 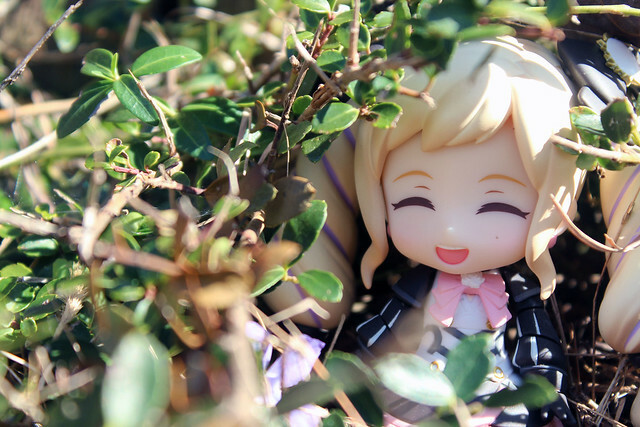 This cutie is one of the little sisters from Fire Emblem Fates! She’s a healer, so she comes with a cute little staff. The sudden warm weather has confused all of the plants because they’re beginning to bloom like in the spring. Bad for the plants, but good for me because I found some purple flowers that match Elise’s purple hair strands perfectly! 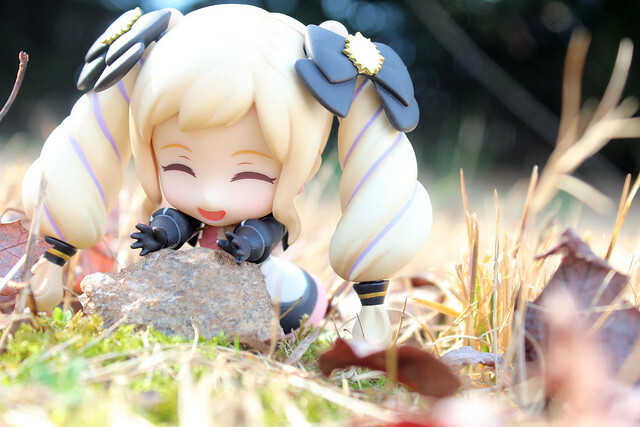 I though she looked cute reaching forward, so I perched her on a rock. This Wednesday I’m flying up to DC to attend Katsucon! I’m very excited!